DOBIE GRAY R.I.P. ROCK IN PERPETUITY! 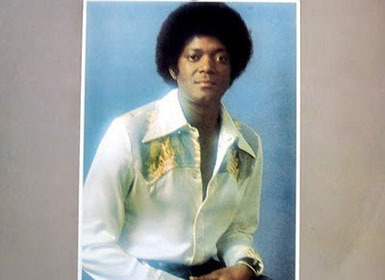 Although I haven’t seen Dobie Gray in many years, I was especially saddened to hear of his passing. He was the kind of person you can’t forget. I first met him in 1965 at the Goldbug, a night club in NYC’s Greenwich Village, where he was appearing shortly after “THE IN CROWD” became a hit.. We spent a little time talking about the differences between East Coast vs. West Coast music, I gave him a demo of one of my songs, and then I left. About six months later I ran into him up at Billboard magazine, and was shocked that he not only remembered my name, but he remembered the title of the song I gave him! As years passed, through “DRIFT AWAY”and beyond, we stayed in touch. The last time I saw him was when he opened at the WHISKEY-AU-GO-GO with his new group Pollution featuring Tata Vega. I thought he had a smash with “THE NIGHT THEY DROVE OLD DIXIE DOWN”, but it was never to be. So many artists have been influenced by Dobie’s style and phrasing, it’s time to honor the original. I think we all should re-examine Dobie Gray’s body of work, I’m sure we’d all be surprised at the undiscovered gems we’d find.